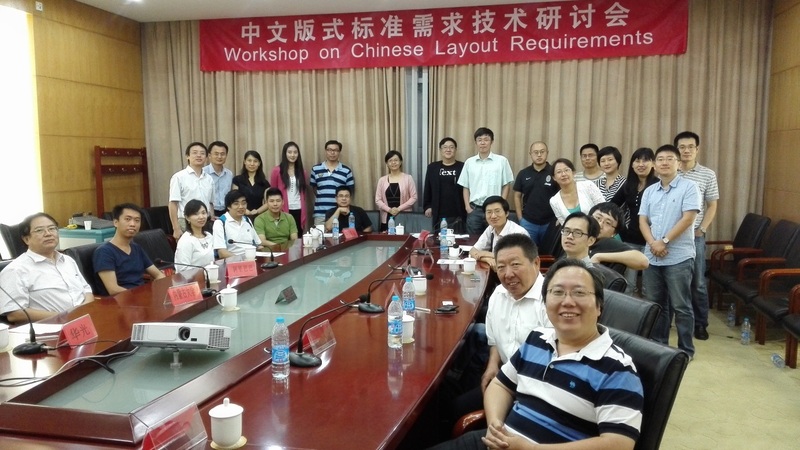 This is the final report for the Workshop on Chinese Language Text Layout Requirements, which was held on September 11, 2014, at Beihang University. You may refere to the Chinese version of this report at here. 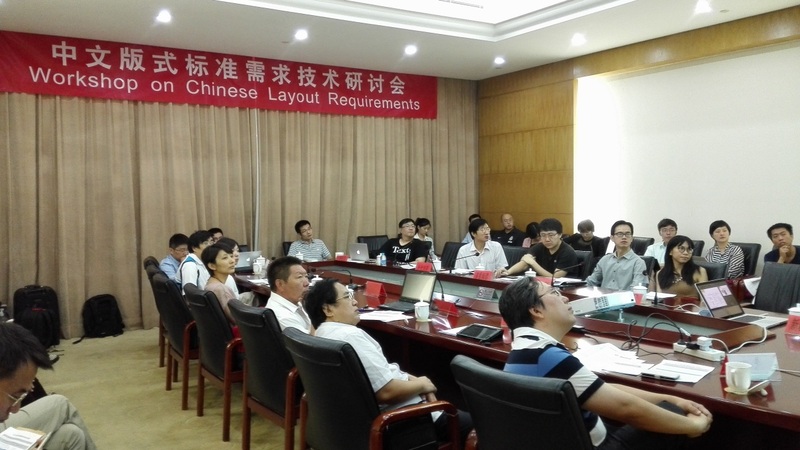 W3C/Beihang hosted a workshop on Chinese layout requirements on Sep 11, 2014, in cooperation with China Electronics Standardization Institute, a W3C Member. Considering the fact that China has the largest internet user population and a considerable percentage of web contents are in Chinese, the correct presentation of Chinese scripts on the Web is of great importance for Web for All, the mission of W3C. A well-described requirements document for the presentation of Chinese scripts on the Web has been identified as a proper starting point. With this goal in mind, W3C Beihang site organized this workshop to collect answers to important questions, including what should be the scope of this requirement document, which scripts should be covered in it, what kind of requirements will come from the different scripts in China, what kind of resources can be integrated to get the work done, who is interested in participating in this work, etc. About 30 participants attended this work and they were from various related sectors, including national standard bodies, simplified and traditional Chinese layout experts, minority group scripts layout experts, traditional publishers, digital publishers, e-reader vendors, etc. We planned for 11 talks, each with 20 to 25 minutes including questions and answers. The presenters were selected based upon review of their submissions by the organizing team. Angel Li from W3C/Beihang and Zhuang Chen from CESI moderated the sessions. The Workshop was opened by Angel Li, site manager of W3C Beihang Host. She briefly introduced the W3C and its work on Web standards, including the mission of W3C, W3C standards stack and recent achievements in vertical industries. Chunming Hu, technical lead of W3C Beihang site and vice dean of Computer Science School of Beihang University welcomed the audience with a more detailed introduction of the history between W3C and Beihang and the reason why W3C Beihang consider that it’s important to have this workshop. 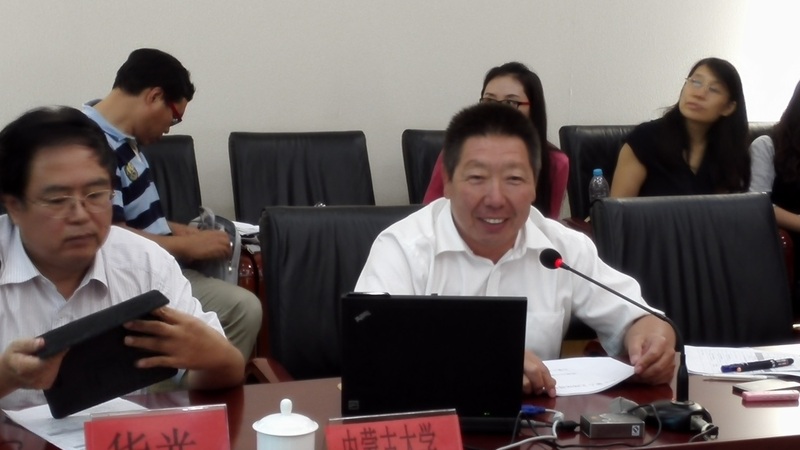 Zhuang Chen from CESI briefly introduced the related standards work in the national standard architecture and expressed his sincere welcome to the participants, especially the minority group representatives who come afar to attend this event. This talk focused on an introduction to W3C I18N activity, including what this activity is doing, where to find information, how to participate, the techniques developed in this activity, how to use the online internationalization checker, MultilingualWeb workshops of W3C, I18N WG work, etc; Richard also talked about empowering local requirements to the Web, and the current work to develop layout requirements for Japanese, Indic, Latin, and Korean scripts, and bidi solutions for languages using Arabic and Hebrew and other right-to-left scripts; in the end, Richard encouraged participation from the Chinese community to work on the requirement for Chinese layout. This talk focused on the importance of developing a requirements document for Chinese layout. As the opening, Bobby traced back to the typesetting techniques of the old times when these techniques could only be inherited orally from one master to his apprentices. For the modern publishing industry, a standard would be a lot more efficient and economical. Modern technologies like digitalization have been bringing a revolution to typesetting in the publishing industry, related layout and design standards have never been more needed. Modern tools like InDesign and Quark cannot meet the requirements brought by the Web-transformed publishing industry, more work like EPub standards needs to be done. Examples of the Chinese layout issues on the Web have also be demonstrated, e.g. justification, pagination, ruby, punctuation, font family for Chinese, and some traditional Chinese features were covered. 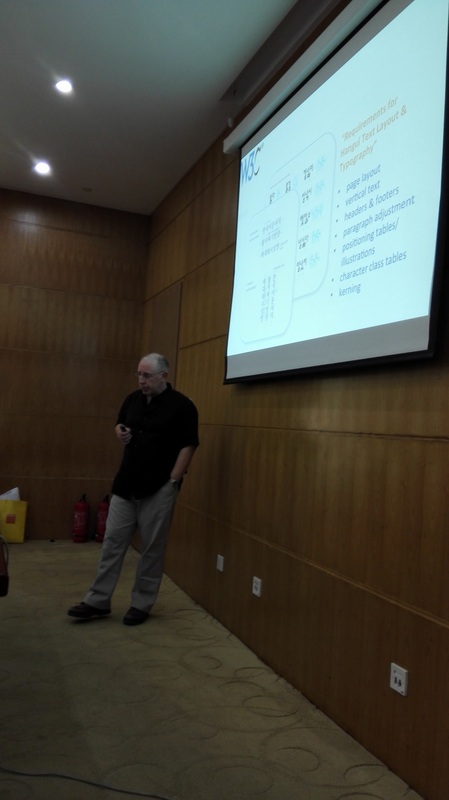 This talk focused on introducing the Chinese information technology standard architecture. Shanghan Huang explained that there are two categories of standards in the current domestic electronic information standards system, national standard (GB) and industry standard (SJ), both lead by CESI. The National Information Technology Standardization Technical Committee works as the platform for the national electronic information standards and with committee hosted by CESI. Currently, there are 22 sub-committees and 19 working groups. Character sets and encoding Committee is one of the sub-committees and 7 working groups in charge of the information technology for the minority groups including Tibetan, Mongolian, Uyghur, Dai, Yi, Korean and Zhuang. Standards on Chinese information technology were covered as well, including Character sets and encoding, Unicode, Dot matrix font, IME, and Chinese characters coded character set standard. This talk introduced the Chinese flow document standard (UOF) and Open Fixed layout Document (OFD). For UOF, the application, Office software development and testing work were presented. The content of UOF includes the Chinese Office File format, Chinese office software application programming interface, Conformance and compatibility rules for Chinese office file format, Functions classification and testing for Chinese office file format, Supplementary Specification for Office software API, Implementation Guide for Supporting Standard Electronic Official Document by UOF, Technical requirements of data interconnection for web office document format, and UOF apply guideline for mobile terminal device. There are some specific descriptions of the Chinese layout and presentation, e.g. the vertical writing mode, paragraph attribute, ruby, etc. The Open Fixed layout Document describes the Chinese layout requirements as well, e.g. Character conversion. This talk gave a clear introduction of the Tibetan layout requirements, including Tibetan alphabet and character, left-to-right writing mode, design rules, punctuation usage, particular symbols like the head symbol which must appear at the very beginning of the text, regulation of the punctuations, pagination, content layout, title design and layout, tables and illustrations. This talk started with the statistics that there are 8 million Mongolian people and they mainly live in China, Mongolia and Russia. Mongolian language and culture has had a great influence on the world. Mongolian, belonging to Mongolian group of the Altaic language family, is a typical agglutinative language. Its grammatical form is rich and complex, and indicates the grammatical meanings with adding some suffixes to the stem. It brings a lot of difficult problem to the words judgment of the language information processing. Quite some problems with Mongolian need to be solved, including bad support for the traditional Mongolian, inadequate support for display of traditional Mongolian, the problem of Mongolian font, international standard on Mongolian encoding engine is not standardized yet, operational issues such as moving cursor, bad support for Mongolian prohibiting rules, etc. This talk focused on the proposed ideas for the Chinese layout requirement document from the digital publishing point of view. With the goal of the correct display of the Chinese scripts, Leiming Yang presented that a requirements document was indeed needed but this document should also consider the fast growing needs for Chinese display in the digital publishing industry. He compared the Requirements for Latin Text Layout and Pagination with the Requirements for Japanese Text Layout and thought the former reflects more requirements from the publishing industry. The transformation of the digital publishing industry brings more features to the content, so these new features should be taken care of, which includes multi-media elements, hyperlinks, scripts, content search, big data analysis, data formats, etc. This talk focused on Baidu’s practice concerning Chinese display on the Web and mainly shared the challenging part for Chinese layout, including punctuation, prohibiting rules, illustration, pagination, etc. Yuhang Yang also shared Baidu’s practice on smart layout design, multi-device real-time preview and composite format editing and presentation. This talk mainly shared Xiaomi’s practice on pagination, multi font calls, embedded font, and some digital publishing features related to Chinese display on the web. This talk mainly introduced the ongoing work of the Chinese Layout Requirement Document. Modularity and logic description for the algorithm were introduced in to the document. The team had been using Hackpad and Github as the editing platform. The content of the Chinese Layout Requirement Document included fonts, writing direction, center configuration, justification, mixed composition of Chinese and English, Ruby, punctuation, paragraph attribute, table, illustration, etc. This talked was a brief summary of the previous talks and presented the proposed roadmap for integrating resources to work on the requirement document for Chinese. Consensus was reached during the discussion session that for the best interest of all, the community should cooperate on the work of Chinese Layout Requirement Document. Based on the presentations during the Workshop, the participants identified a few topics that already had some achievements and should be listed into the proposal scope of the upcoming work, including Simplified Chinese layout requirement, Traditional Chinese layout requirement, Mongolian layout requirement and Uyghur layout requirement (TIBETAN ??). Support from central and provincial government might be acquired if the work could be integrated with the current work of the national standard bodies. Voluntary efforts were proposed on site from a few minority group representatives. More conversation and communication would be carried on the mailing list and upcoming events. The workshop gave a strong message of support for W3C Beihang and CESI to cooperate and lead the work on the Chinese Layout Requirement Document. The closing session of the workshop raised a proposal the following steps to continue the efforts on this path. - A formal charter, which is already drafted and seeking the approval from W3C i18n WG. 3. W3C Beihang team to cooperate with CESI on the synchronization of the task force and the related national standards bodies. The W3C staff will drive the process of setting up this task force and reach out to a wide range of interested stakeholders. This consultation will seek to clarify the mission for the task force, the target topics and industry priorities, and opportunities for liaisons with other related standards development organizations. There were 28 registered participants. The following list shows the organizations that attended the workshop. 17. 北京国家数字出版发展有限公司Beijing National Digital Publishing Development Co., Ltd.